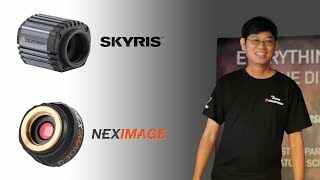 The Celestron SkyRis Camera was designed and engineered in Germany by The Imaging Source, the leader in high-end planetary imaging, in collaboration with Celestron engineers in California. Powered by SuperSpeed USB 3.0 technology, the Skyris imaging camera transfers data at the fastest possible speeds. The SkyRis 132C uses the Aptina AR0132 CMOS color imaging sensor, a state-of-the-art chip used by imaging companies worldwide. The world’s top planetary imagers, including Christopher Go, beta-tested and use Celestron Skyris cameras. The Celestron Skyris camera is capable of super-fast image downloads thanks to USB 3.0 connections. 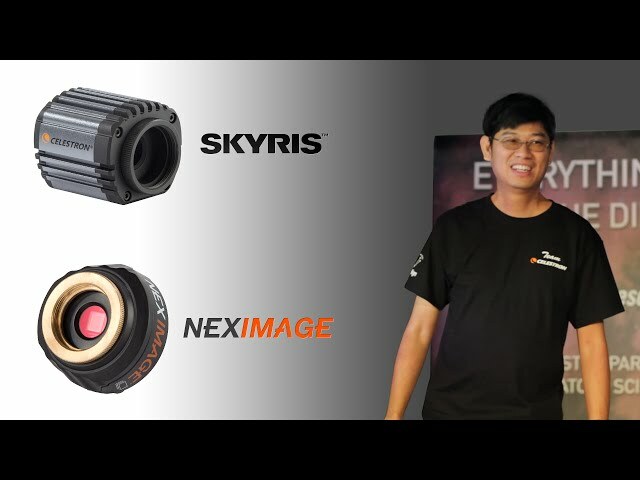 Even more impressive, Skyris’ CMOS sensor is capable of capturing up to 200 frames per second when sub-framed on planets. Or, image the full 1.2 megapixel 1/3-inch sensor at 60 frames per second—great for lunar and solar imaging. Just Add Your Telescope & PC for a Complete Imaging System! Skyris now Mac OS X compatible!